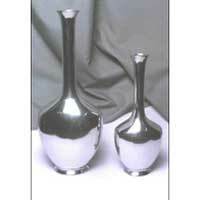 The exclusive variety of Flower Vases manufactured by us is largely demanded by the clients, owing to its innovative designs and longer life. 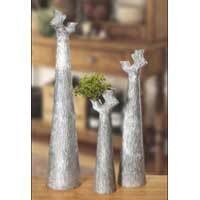 We offer a charming range of Flower Vases, which are made from superior quality aluminium, steel and other metals. 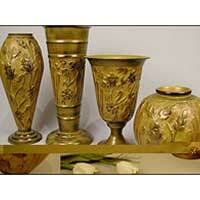 Our collection of Flower Vases encompasses Antique Finish Vase, Designer Flower Vase, Hammered Vase, Matte Finish Alluminium Vase, Patina Finish Flower Vasel, and Shiny Alluminium Vase. 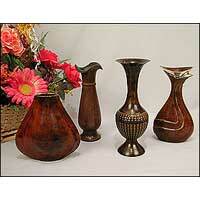 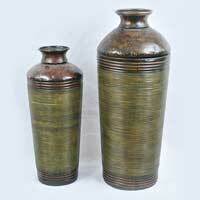 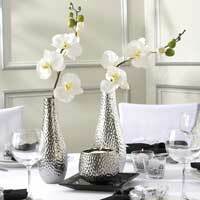 The clients can avail this exquisite array of Flower Vases in different shapes, sizes and colors as per their needs.